In recent times I get so busy with work and I find myself doing different things at the same time and really not reaching any great result. 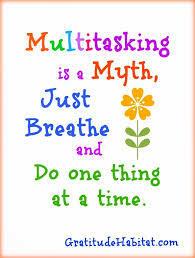 People call me a multitask-er, like I am literally the QUEEN of that. However, I found out that when I do this, I never really get a fantastic result instead I end up with the barest minimum result. The thing is, I always have so much to do in such little time so I result to doing nothing or not doing them well. Some experts say do the little things first to get you moving and to get the ball rolling while some say do the biggest task that gives you the biggest return first to get the best bang for your time and effort. The thing is they are all right. But the question here is how we do the big task? 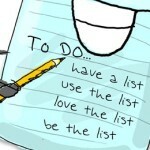 Identify the big task is necessary: if you have been making weekly to do lists just like me, there is certainly one task which is more important than the other. You know exactly which one I am talking about. The one you know you should do, but cannot seem to. Designing the plan, writing that chapter of your book, organizing the finance or doing a follow up with clients. Break it down into small, simple tasks: you should take the big task and break it down into really simple steps. When I do not feel like doing a big task, I always ask myself if I have broken it down and more often than not, I have not and even if I did, I did not break it down far enough. List all the steps that are necessary to complete that task and make sure you know exactly what you need to do with each step when presented with it. Concentrate on each simple; when it is broken down into small, simple parts, it gets pretty easy to execute. When you have your undivided attention on one simple task at a time, you give it the attention it deserves and you do it with quality so that each task builds successfully on top of one another. 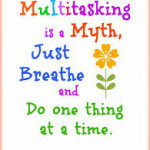 Follow through on each task: Concentrate and follow through on the individual tasks. After writing an article, proofread it; finish free writing the introduction of your book, fully brainstorm the idea, etc. before moving on to the next task. Remember, when you follow through, the rest of the big task becomes easier. There is no more going back and forth. Get it done right the first time so you do not waste time looking or going back to it. If you follow these few methods, you will find things become less stressful, easily manageable, and very rewarding as you realize how productive you were that day. 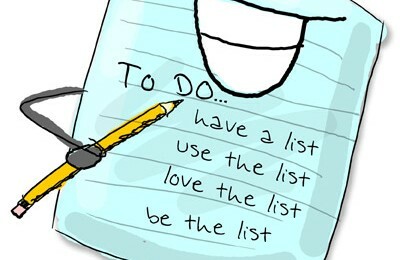 Then arrange items on your to-do list in order of priority. There is extreme power in Doing Just One Thing at a Time. We tend to feel more in control of our situation, the single task has our fullest attention and we get a ton of work done as well. I usually have my to-do list written in my notepad with the biggest task being broken down into smaller, easier ones and on top of that, I have this quote written by Thomas Carlyle – “Our main business is not to see what lies dimly at a distance, but to do what lies clearly at hand.” This is something I learnt in recent times. To do with quality, what simple task lies clearly at hand.